If you are a follower of the Sales Management Minute, you know of my passion for baseball. I recently conducted an umpire clinic for teens in our Little League. As part of the training, I squatted down like a catcher, held my glove in front of my chest and asked if a pitch caught in this position is a strike. All of the umpire students said it absolutely was. Then, I positioned myself ten feet behind home plate and squatted in that same position. Light bulbs went off over their heads as they saw the issue. 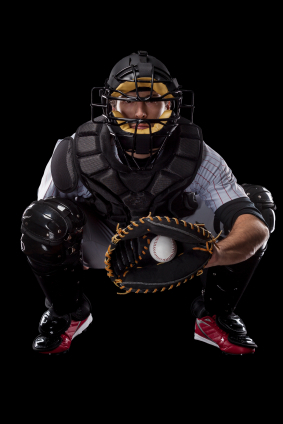 Where the catcher is positioned behind home plate (due to the speed kid’s pitch at this young age) is a major factor when determining balls and strikes. In essence, the umpires could not answer the ball/strike question in the exercise as they did not have enough information. This ball/strike issue parallels goal-setting. When a salesperson is described as having hit their revenue goal (or not), there isn’t enough information to derive meaning. Was the sales goal set at an “A-level” like an “A” on a report card in school? If so, just like in school, not everyone achieves that level and that is expected. Or, was it set at a “C-level?” Like in school, a “C” is a minimum acceptable standard and you expect all of your salespeople to achieve that level…at a minimum. If your strategy was to set the bar high (A-level), the salesperson who hit their goal had a fantastic year. That accomplishment should be celebrated. If your strategy was to set the bar low (C-level), the salesperson who hit their goal delivered the minimum acceptable performance. No reason to celebrate. This was the minimum. Either of these goal-setting strategies is effective. The key for executives is to decide which goal-setting approach they will take and make sure their salespeople clearly understand what “hitting the goal” means relative to performance expectations.